While the Walton family is celebrated for creating Walmart stores, making affordable merchandise available for everyone, it took a trip to Sam Walton’s original store in Bentonville, Arkansas to realize how much they did for the folks back home. Thanks to the Walton family, and the grants and foundations they have established, the once sleepy, small town of Bentonville has become an arts and culture mecca. 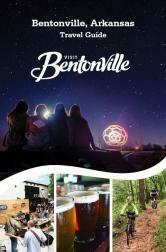 My husband and I recently visited Bentonville for the first time. Our first stop was the Crystal Bridges Museum of American Art, located on beautiful grounds that include sculpture gardens, waterfalls and winding forest trails. A house designed by Frank Lloyd Wright has also been relocated to the grounds. We were on a tight schedule that only allowed us to spend five hours there, and started with a gourmet salad lunch in Eleven, the museum’s restaurant. 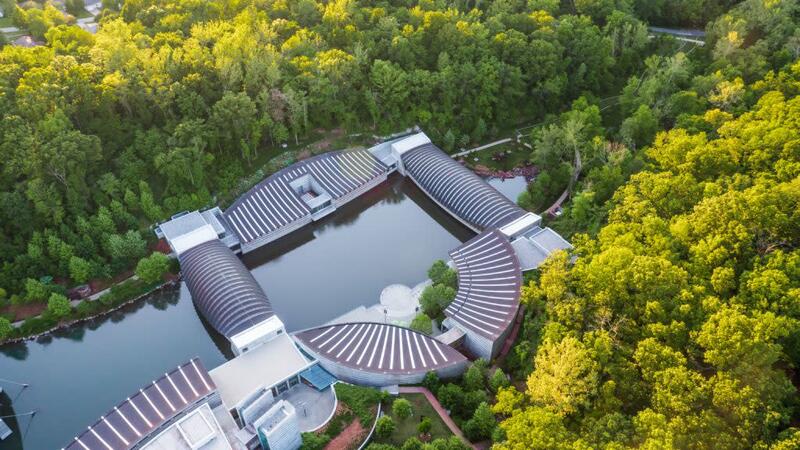 The museum was founded by Walmart heir Alice Walton, and designed by internationally renowned architect Moshe Safdie. An Israeli/Canadian who found fame for designing Habitat 67 in Montreal, Safdie’s architecture works with the geographic elements that define a place. In this case, he heeded Walton’s love and concern for her family’s heritage and the land where they grew up. They created a dam, bridges and buildings in a ravine that honored the nearby forest and fit into the setting like they had always been there.